The gene is to genetics what the atom is to chemistry. 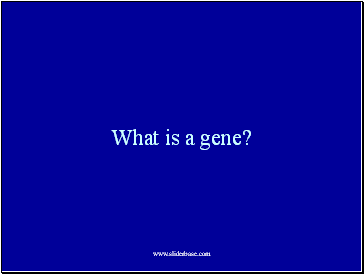 The gene is the unit of genetic information that controls a specific aspect of the phenotype. 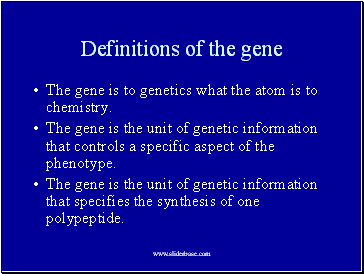 The gene is the unit of genetic information that specifies the synthesis of one polypeptide. 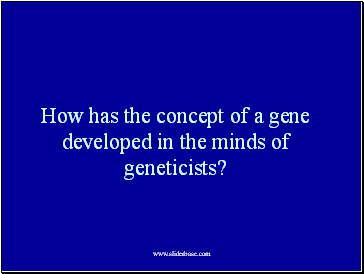 How has the concept of a gene developed in the minds of geneticists? 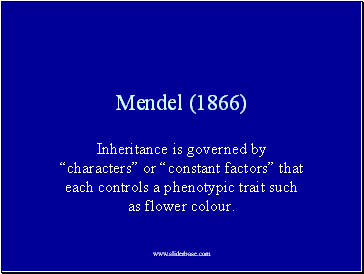 Inheritance is governed by “characters” or “constant factors” that each controls a phenotypic trait such as flower colour. 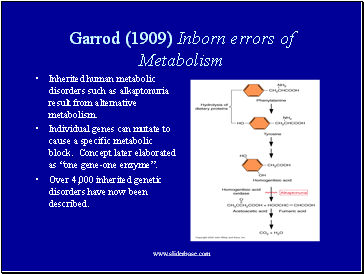 Inherited human metabolic disorders such as alkaptonuria result from alternative metabolism. Individual genes can mutate to cause a specific metabolic block. 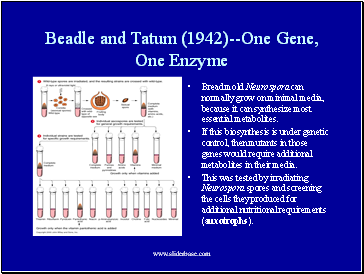 Concept later elaborated as “one gene-one enzyme”. Over 4,000 inherited genetic disorders have now been described. 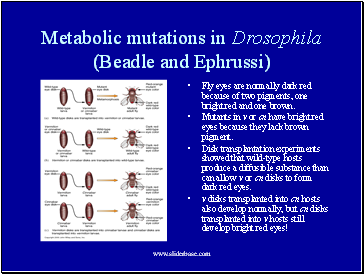 Fly eyes are normally dark red because of two pigments, one bright red and one brown. 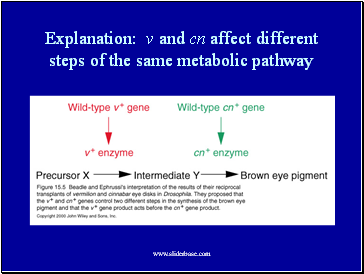 Mutants in v or cn have bright red eyes because they lack brown pigment. Disk transplantation experiments showed that wild-type hosts produce a diffusible substance than can allow v or cn disks to form dark red eyes. v disks transplanted into cn hosts also develop normally, but cn disks transplanted into v hosts still develop bright red eyes! 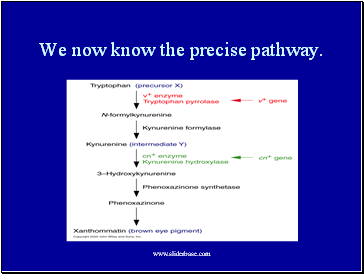 We now know the precise pathway. Bread mold Neurospora can normally grow on minimal media, because it can synthesize most essential metabolites. If this biosynthesis is under genetic control, then mutants in those genes would require additional metabolites in their media. This was tested by irradiating Neurospora spores and screening the cells they produced for additional nutritional requirements (auxotrophs). 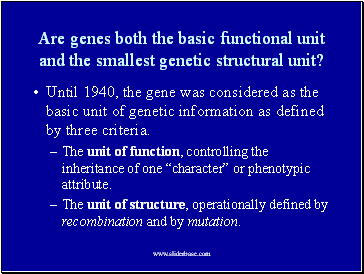 Are genes both the basic functional unit and the smallest genetic structural unit?